Ashley graduated with Honours from Ryerson University with a Fine Arts Degree in Dance Performance and subsequently gained associate status with the Cecchetti Society of Canada through Canada’s National Ballet School’s Professional Development Program. She has trained extensively in many dance disciplines and holds her Advanced I certificate in Cecchetti Ballet, and her Intermediate certificate from the Royal Academy of Dance. Ashley attended Cawthra Park Secondary School, completing the Regional Arts Program as a dance major, and was recipient of the Excellence in Dance Award and the Senior Achievement Award. Ashley was also privileged to perform a solo at World Youth Day on the Downsview stage. She was the recipient of the Meadowvale Theatre Award, the Paul Eck Bursary, the Frank Augustyn Award and was a nominee for a Mississauga Arts Award. Ashley has also had the pleasure of performing in the fFIDA Dance Festival, performing at Fashion Cares in Toronto, dancing at venues across Ontario with The Dance Company, and working and traveling around the world with the Jean Ann Ryan Production Company. Ashley has taught at several studios throughout the GTA and is so excited to have opened The Dance Class in Milton. Together with Kelly, the two hope to provide a positive and creative learning environment to educate and nurture the development of young artists and Change the Way Milton Moves! NBS-TTP (Dip), A.I.S.T.D. (CSB) , R.T.S.-R.A.D., A.R.A.D., P.A.A. Kelly is a graduate of Canada’s National Ballet School’s Teacher Training Program. After three years of study, she graduated with distinction and as class valedictorian. She holds her Associate Status with the Cecchetti Society of Canada and her Registered Teacher Status with the Royal Academy of Dance. She has taught around the greater Toronto area as well as at Canada’s National Ballet School in the Adult Ballet and Associate Programs. Her teaching has taken her across Canada and the United States. Most notably, in the Summer of 2010 Kelly acted as assistant to the director, Mignon Furman, at the American Academy of Ballet in New York. As a dancer, she currently holds her Advanced Two exam with distinction from the Royal Academy of Dance, Advanced Two exam with the Cecchetti Society of Canada and her Advanced One exam with the I.S.T.D. National Branch. Kelly has trained and performed across Canada and the United States, including at the Alvin Ailey Center, Adelphi University, and Purchase College in New York, as well as New Worlds School of the Arts in Miami, Florida. Her performance career includes Nuit Blanche (Toronto) 2010 and International Dance Day (Toronto) 2010. From 2011-2013 Kelly was the ballet director at In Motion School of Dance in Bermuda. 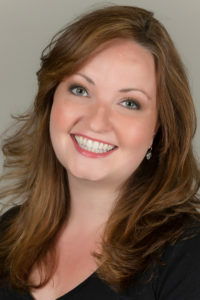 Kelly had the opportunity to perform with the Gilbert & Sullivan Society of Bermuda as a chorus girl and dancer in the musical, The Producers (2012). Most recently, Kelly completed her training in Progressing Ballet Technique at the En Avant Dance Teachers Conference. 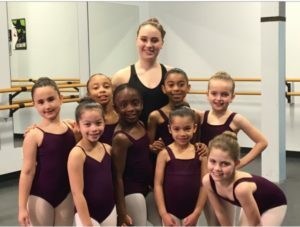 Kelly’s students have gone on to train at SUNY Purchase College- Dance, Alberta Ballet Professional Training Division, Joffrey New York Summer Programs, Perry Dance Summer Programs, Grier School- Dance Program and North Carolina School of the Arts. Kelly also enjoys adjudicating dance competitions across the GTA and is a member of the Professional Adjudicators Alliance. Her goal is to develop young dancers into passionate artists with technique, creativity, focus, and an undying love for their craft. 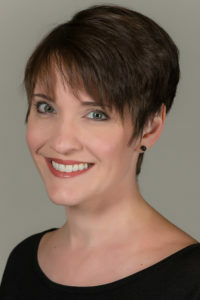 Tanya Berg holds a PhD in Dance Studies from York University in Toronto and is a graduate of Canada’s National Ballet School Teacher Training Program. 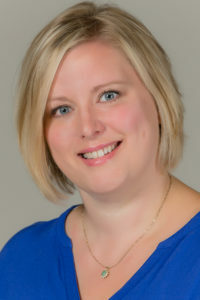 In addition to teaching in private studios, Tanya has taught at the University of Toronto in the Faculty of Kinesiology and Physical Education since 2003. She has presented papers internationally on topics such as panopticism in dance education, innovation in ballet pedagogy, and conditioning for ballet dancers. Tanya’s publications can be found in journals including Research in Dance Education and Journal of Dance Education. Tanya is thrilled to have been invited to co-author two chapters with Dr. Douglas Risner (Wayne State University) in the anthology, Case Studies in Dance Education: Ethical Dimension of Humanizing Dance Pedagogy, forthcoming in 2018. 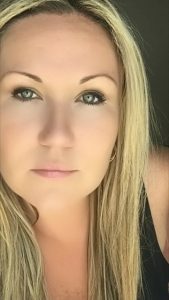 Tanya is pleased to return to The Dance Class to share her knowledge of and passion for dance education with the students. Shannon Adams has loved performing and entertaining since the age of two when she began dancing. Through the years her love of dance grew to the love of both singing and acting and now directing. Shannon is a graduate of Randolph Academy for the Performing Arts in Toronto, where she worked with amazing teachers and directors. Shannon also ventured to Vancouver for two years to dip her toes in the theatre scene out west! Some of her credits include, Guys and Dolls (Hot Box Girl), High School Musical 2 (Gabriella), Something Rockin in Denmark (Honeybelle), Rockin’ Roll 50 Revue (Dancer), Thoroughly Modern Millie (Millie). Besides her love of performing on stage, Shannon also loves to be behind the scenes, where she choreographs and directs. Credits include Oliver (Choreographer), Grease (Choreographer), Beauty and the Beast (Assit. Dir). She is happy to be joining The Dance Class this season! Stefanie is an inspiring teacher whose dance training began in Sudbury Ontario and evolved through her experiences in New York City, Chicago and Kentucky. 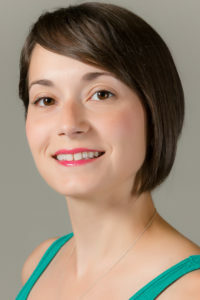 Stefanie is a member of the Canadian Dance Teacher’s Association in both the Acrobatics and Tap divisions and is accredited through Dance Educators of America. Stefanie has taught workshops and choreographed award winning pieces throughout Ontario. She has been training acclaimed competitive dancers in Toronto for over 15 years. Stefanie’s enthusiasm and passion for dance inspires every student she teaches to strive for excellence. Elizabeth Kmiec is thrilled to teach at The Dance Class and is excited to help change the way Milton moves! Since moving to Milton, Elizabeth has been heavily involved with the growing arts scene here. 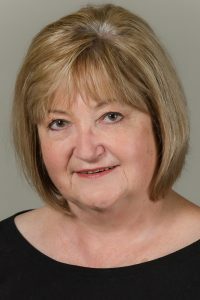 She has been a part of Arts Milton for several years, including the position of President and is also a volunteer for the Film Forum held at the Milton Centre for the Arts. Her first collaboration with local artists was in 2010 as she created ‘Walking Through the Past’ an interactive arts event held on the grounds of Milton Town Hall. In 2012, she was invited to create a dance piece with local dancers for the Milton Centre for the Arts official opening ceremonies and performed in ‘Joseph and the Amazing Technicolour Dreamcoat’ with Globe Productions. In April of 2013 Elizabeth presented her first full length dance work, ‘Nutcase’ at the MCA and is thrilled to be continually bringing her love of dance to new events in Milton. Elizabeth is also a dance instructor, Zumba Fitness Instructor, Personal Trainer and Pilates instructor. She is an Honours graduate of the Ryerson University Dance Program and had the great fortune of premiering her dance film ‘A Day in the Life’ at the Cannes Film Festival. 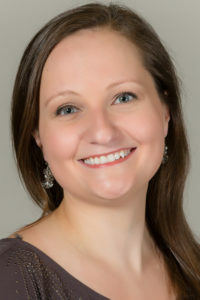 Elizabeth looks forward to sharing her love of the arts with everyone she meets through The Dance Class and invites you to come and enjoy yourself through dance. Mike started dancing at the age of 6 and realized his love of the art shortly thereafter. Throughout his career, Mike has trained intensively in tap, jazz, hip hop, lyrical, contemporary, ballet and partnering as well as performing in musical theatre and modern. Mike was the 2016 World Tap Dance Champion in the “Battle of the Feet”. Along with his title win, he has won a total of 7 medals in his appearances at the World Tap Dance Championships in Germany, spanning across solo, duet, and group categories. The students Mike has trained have also had their share of success; winning Silver at the “Commonwealth Dance Cup”, and Gold at the “World Tap Dance Championships” for solos he choreographed. Mike began teaching dance in 2009. He then went on to spend two years dancing aboard the Disney “Dream” and “Fantasy” cruise ships, before returning home to reignite his teaching career. Mike’s passion for working with children and youth has lead him to mentor as a Youth Facilitator with the Kiwanis “Key Leader” program, and as a workshop leader and guest speaker at the “Kids4Kids” summer leadership camp. His love of mentoring young dancers has also led him to become a member of the Professional Adjudicators Alliance (PAA). 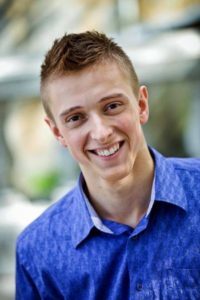 Most recently Mike has become a choreographer for the “Canadian National Tap Team” for the “World Tap Dance Championships” in Germany and the “Commonwealth Dance Cup” in South Africa, and “World Performers Canada” for the “World Dance Cup” in Spain. Mike is proud to have become sought after performer, instructor, choreographer, and adjudicator throughout the GTA and beyond. Mike cherishes his time spent encouraging and inspiring his students, and imbuing them with the same love of dance and performance that has him shuffling down the street. Lisa-Marie brings over 20 years in the professional dance industry to The Dance Class. She is the creative director behind Graffiti Dance Company since 2005 and a recognized national freelance choreographer. She trained at such facilities as Theatre of Dance Arts, Randolph Academy and Broadway Dance Centre, in the disciplines of ballet, jazz, lyrical, contemporary, tap and acrobatics. Lisa-Marie has received certifications from both the British Association of Teachers of Dance and the Royal Academy of Dance. She is sought after for her unique improvisation workshops and technique classes. She is currently on faculty at Starcatchers Dance Competition as an adjudicator. Her competitive choreography has received national and international acclimations and she has also professionally choreographed for numerous clients including Disney, CFL Grey Cup and The Canadian Armed Forces. Her students continue to win numerous awards and titles including the National Male Dancer of the Year – CanDance 2015. Lisa-Marie is passionate about the artistry of dance and performance and is excited to inspire younger dancers.